In the background is the San Diego Convention Center where the Firehouse World Expo is this week. It is here every year, but with my son the past two years in Monterey, I have not attended for those two years. 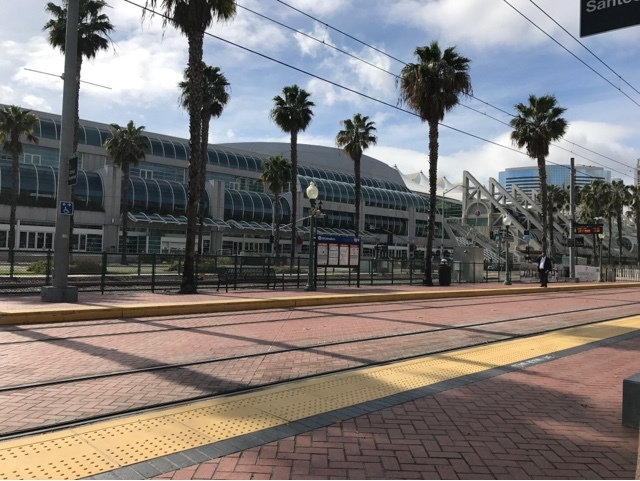 In the foreground is the trolley tracks I took from where I parked my car for free and took the train for $5.00, vs paying the $15.00 to park in the convention center underground parking. 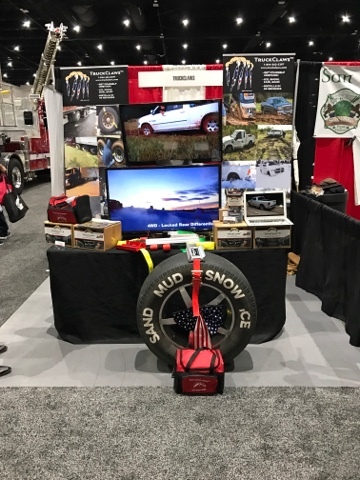 I spent 46 years in the fire service, retiring as Fire Chief, and I get into the exhibit hall for free. Since it was raining here Tuesday, this week, I chose to take the opportunity to walk around the exhibit hall and see the products and services being offered, and what is new on the market. 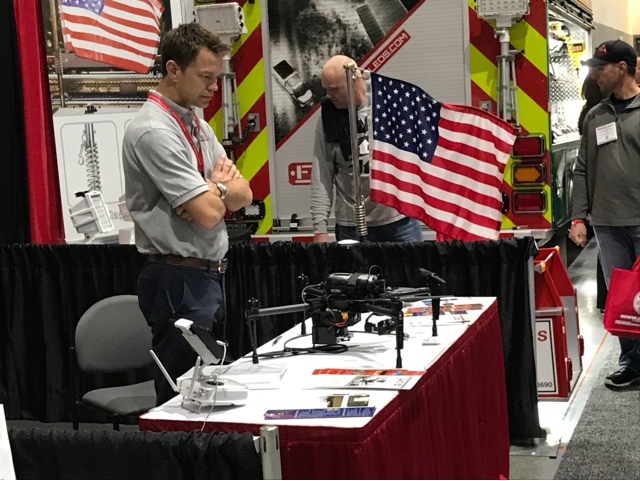 Above is a vendor selling a drone for the fire service. Although I haven't been to this show in two years, this is a first for me seeing commercial drones for sale. As Fire Chief I had more than one opportunity to have used a drone in finding and sizing a wildfire, or looking for lost people. It would be great to try it out in a realtime situation. My vandweller friends might find the item in the picture, above, interesting. There is a strap that clamps a piece of U-channel to the tire surface to assist in getting the vehicle unstuck. I've seen a YouTube video with a homemade device that clamps a piece of 2"x4" where the U-channel is as a make-shift recovery device. It wouldn't work on my Prius as there isn't sufficient fender clearance. I do have and carry snow/off road chains in my Prius but luckily I have not had a need to use them yet. A company that I used to do business with, KME, made these two straight stick ladders, I believe to be 103' tall. The closest to me is a tiller. Now to the old. 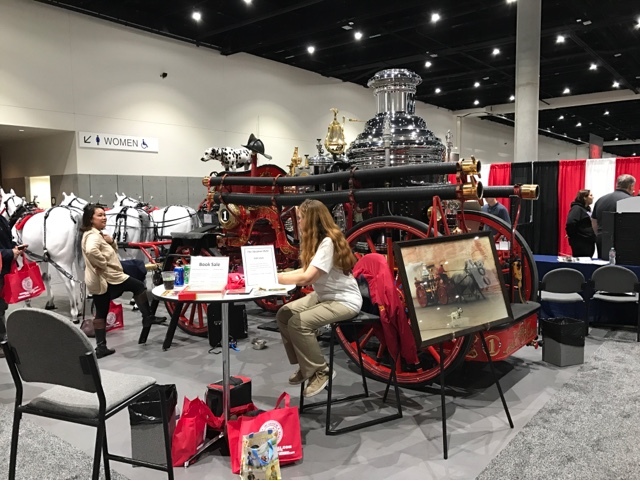 The California State Firefighter's Association had this steamer on display, hitched to the ornamental horses. There is a very good fire museum in the Little Italy section of town. 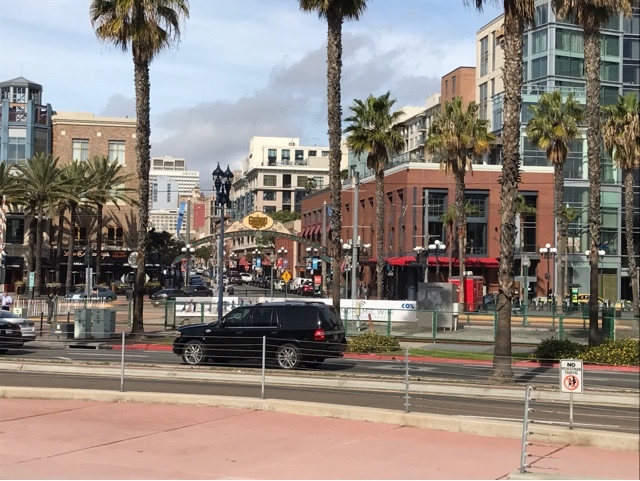 Across the tracks from the Convention center is the Gas Lamp District noted for its restaurants. 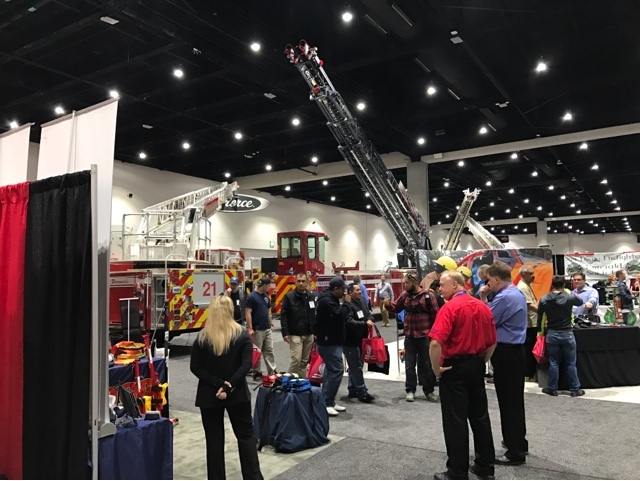 The Firehouse Expo World has shrunk in size over the last few years, assuming with a decrease of vendors. 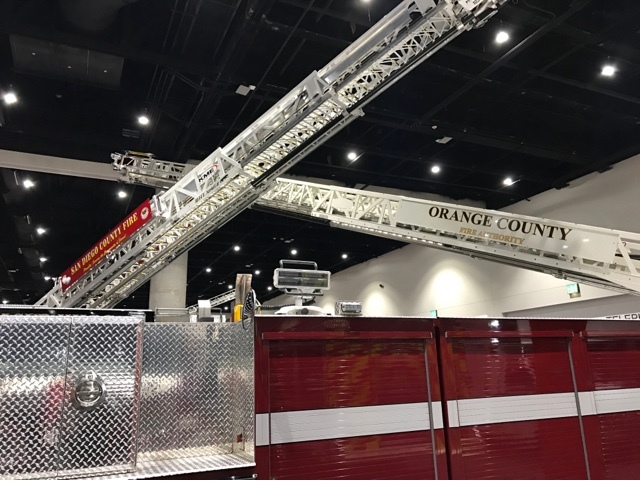 Although smaller than in past years, I did see a few apparatus innovations I found interesting. I'm glad I didn't pay for admission as it wouldn't have been worth it for my current level of interest.